Roundtrip is a digital logbook for NSW learner drivers that replaces the NSW paper logbook and makes recording practice incredibly easy and fun. Roundtrip can automatically record practice time, location, weather and more so you don't need to enter it yourself every time. You can also track your learning goals, track bonus hours and submit your practice to Roads & Maritime Services once you've completed your minimum practice requirements. 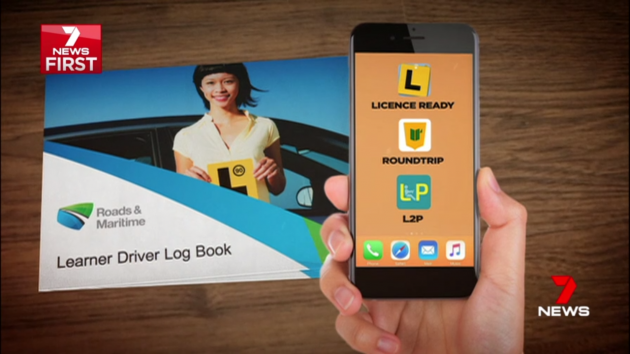 Roundtrip was one of the winning app pitches of the NSW Learner Driver Logbook Innovation Challenge. Eat More Pixels were one of the winners of the NSW Learner Driver Logbook Innovation Challenge in Oct 2016. We entered an incubation phase with Roads and Maritime Services and launched the app in September 2017. During the incubation phase we also completed the Startup School Online by Y Combinator for the Roundtrip app. Eat More Pixels have a history of building innovative apps for learner drivers. Dr Zac Fitz-Walter, one of the co-founders of Eat More Pixels, created a gamified logbook app for his PhD to look at how game elements could learner drivers to undertake diverse driving practice to encourage safer drivers. Roundtrip is the next evolution of this app. Roundtrip is available on iPhone and iPod Touch devices running iOS 10 or later. An Android version coming soon. Sign up to be the first to hear when it's available. The Roundtrip app was created by the app development studio Eat More Pixels. Eat More Pixels is based in Brisbane, Australia and the team members have been developing smartphone apps since 2009.